It all started as a way for a boy to learn about giving back while tackling tricky organizational skills at the same time. Perhaps the best way to get the full story of how it started would be to check out Andy’s earlier blog post here at the Hartbeat. In 2018, for the first time, we made this a shared experience at Hartmanlaw. 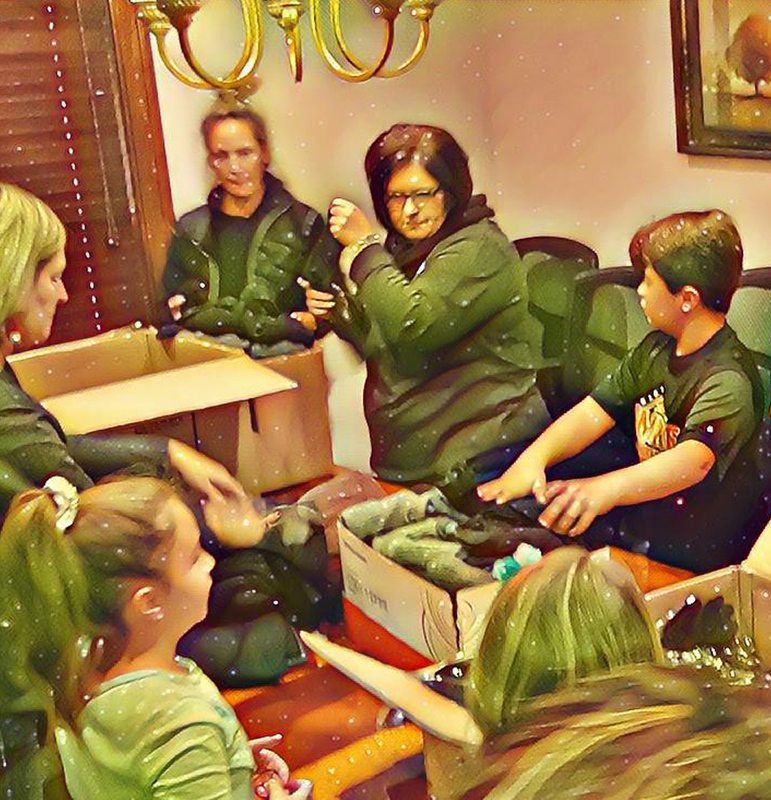 On a rainy December Saturday, 25 kids and some wonderful parents and other volunteer adults converged on the Hartmanlaw office and created over 600 Blessing Bags for the homeless and shelter-dependent community! This was made possible by donations of over $6000 in monetary and product donations from friends, family and corporate donors. Please check out a great short video of the experience. And one of the organizations we were able to partner with to reach the homeless was SimpleNeeds GA, an outreach based in Marietta. They wrote a nice piece about our Project you can read about here. 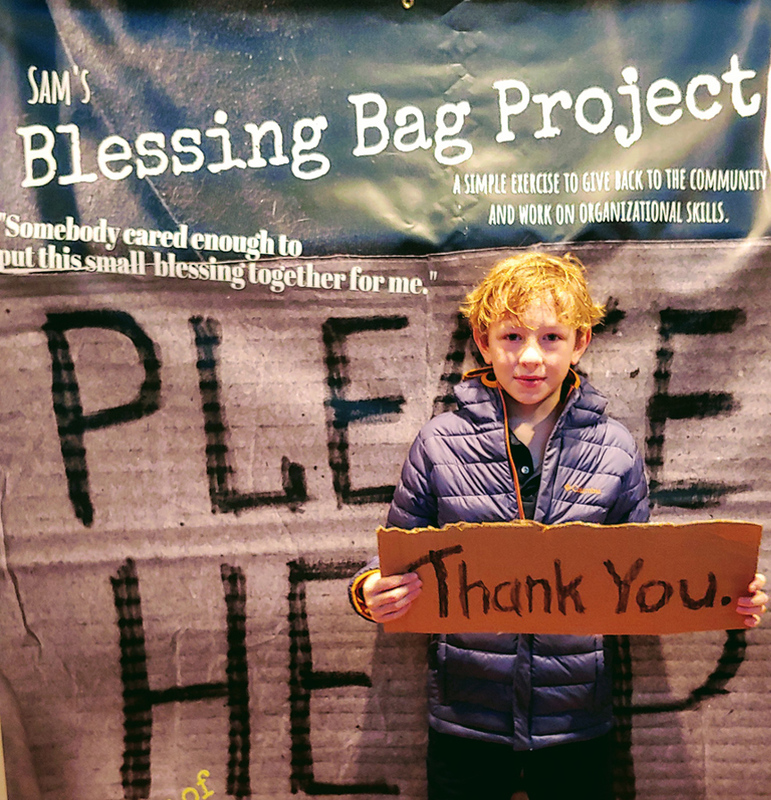 The Blessing Bags are delivered in bulk to groups we are unofficially calling our “partners” who we feel are more traditionally equipped to distribute them directly to the homeless. Some of these partners were SimpleNeeds GA, NeverAlone, Action Church, MUST Ministries, 7 Bridges To Recovery and several unnamed, grit-and-guts groups of angels that reach out to the homeless who huddle in the shadows among us. We would like to use this space to once again sincerely thank all of the volunteers and donors. We for SURE will miss some key angels here – but in particular: Bounce Atlanta [BounceAtlanta.com] donated a bounce house (which we could not enjoy this year because of RAIN – Rain Check, Aimee? 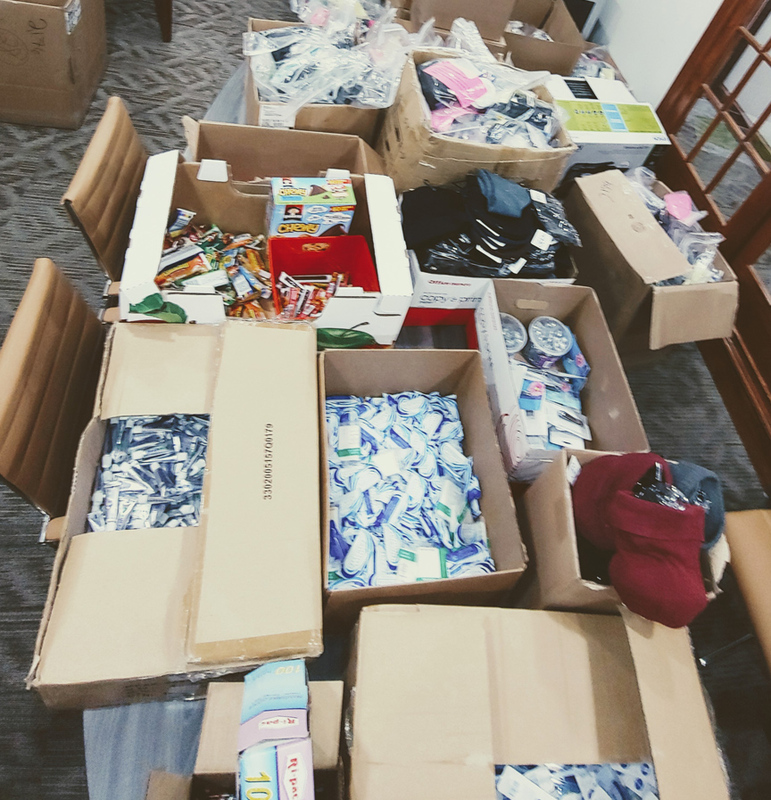 ), 4imprint.com donated a bunch of coffee tumblers, sweatshirts and other useful supplies. JKing Images – my dear friends photographer Jerry King and Tabitha Birke [www.jkingimages.com] and videographer Will Baldwin donated videography time. Old Republic Title, Stewart Title and Chicago Title via their reps (also my great friends) stepped up immensely. Mark Krasner via his company MK Distributors donated 100s of Coffee Tumblers. Tons of Hartmanlaw employees and clients stepped up (even a friendly competitor donated). Christina Mitchell (All Metro Realty) and her son already had a project like ours and just quietly joined forces with us. Lifetime friends from all over the country chipped in. Imbriale Injury Law employees stepped up. People that don’t want to be mentioned contributed. And of course – thanks to the kids. They gave up time on a Saturday morning away from their screens, and soccer balls and whatever else – to do something for other people; for the kind of people who cannot and will not ever do anything back for them. That’s the highest calling, isn’t it?